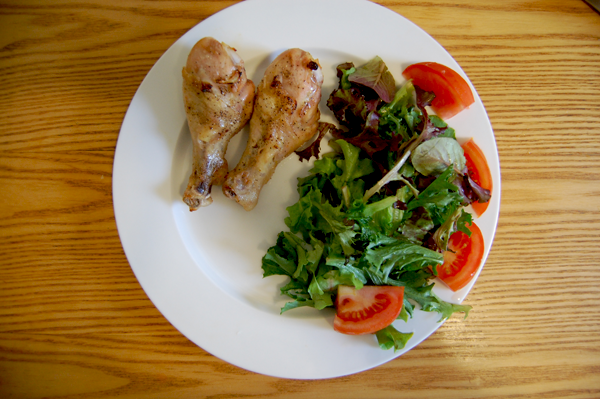 Summer food to me is all about freshness and zestiness. 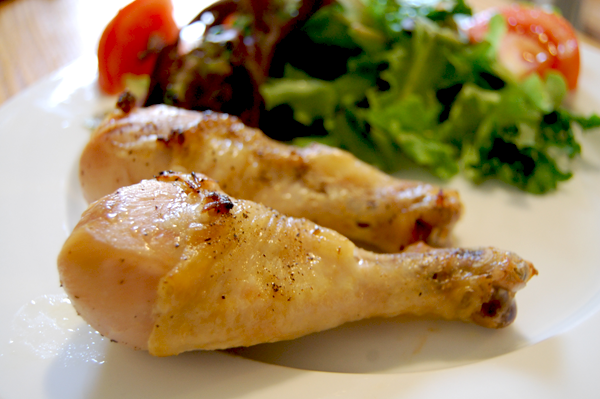 The husband and I one Saturday morning were watching The Pioneer Woman on the Food Network Channel where she made these lemon chicken legs. This to me sounded like a great Sunday night dinner paired with a little side salad. 1. 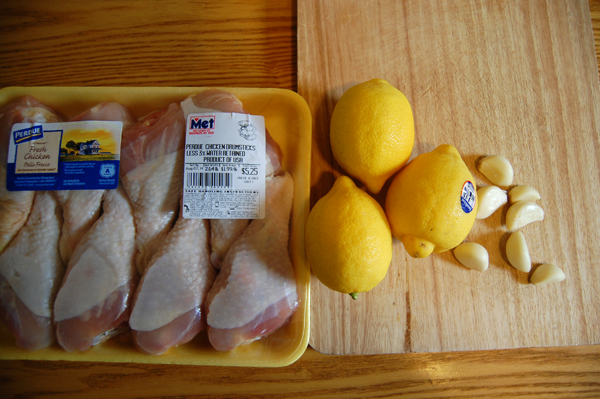 Place chicken legs into plastic zip lock bag. I placed 2 legs in two freezer size zip lock bags. 2. Slice lemons in half so that you end up with 6 halves. 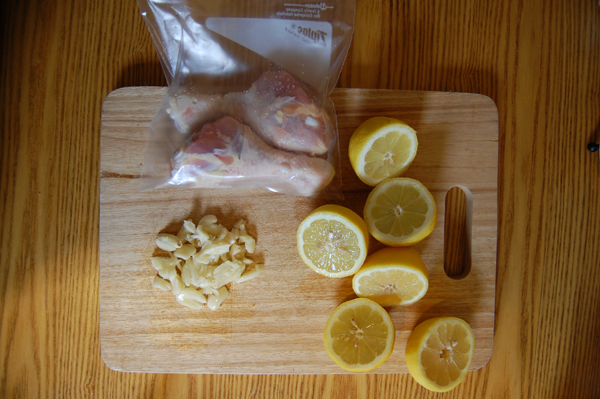 Squeeze lemon juice into zip lock bags over the chicken. 3 halves into one back and 3 halves into the other bag. 3. Take your knife and use the back side to mash the garlic. Once you have your garlic cut up place divide half and place into your zip lock bags. 4. I added 1 tablespoon into each zip lock bag. If you are doing 4 legs in one bag I would double and do 2 tablespoons. 6. Close your ziplock back tightly. Shake zip lock back making sure that everything gets mixed up. 7. 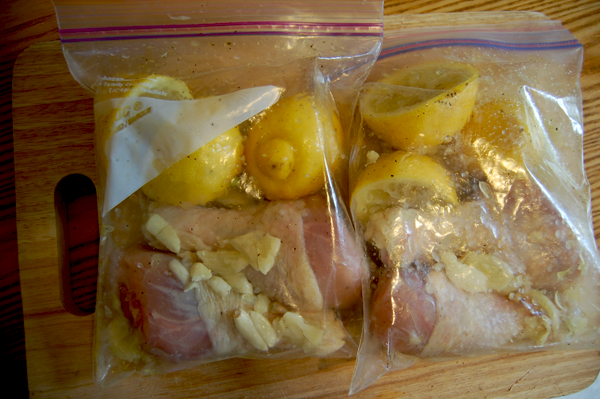 Place ziplock bags into the fridge to let marinate. It can be 2 or more hours. 9. 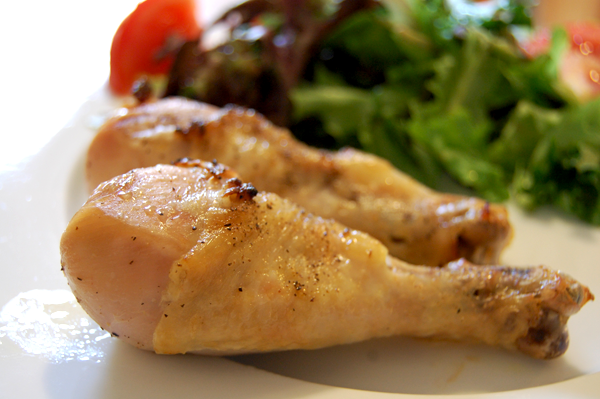 Take chicken legs out of the zip lock bag and place on a cooking rack. Now is the time to add more pepper and salt if you think it needs it. 10. 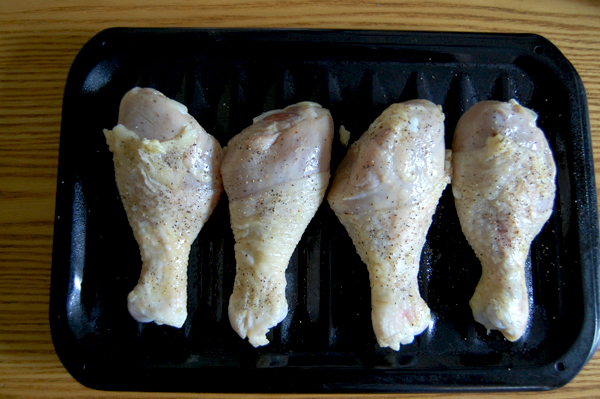 Place chicken into the oven. Let it cook until golden brown. 11. Serve hot with your favorite summer side. I bet these would taste amazing thrown on the grill! Lemon grilled chicken served with lemon grilled shrimp...mmm I'm making my own mouth water. Anyway my husband was a happy camper with the way that these turned out. Even though he was just happy that I actually cooked dinner. I'm more of a baking gal if you couldn't tell by now. What is your favorite summer meals?